FontUp! 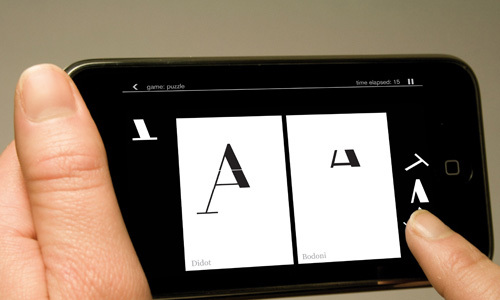 is an application for the iPhone that helps you improve your typographic skills through playing videogames. The number of available fonts grow continously: memorizing, recognizing and identifying them in order to use them properly is difficult, especially for students. 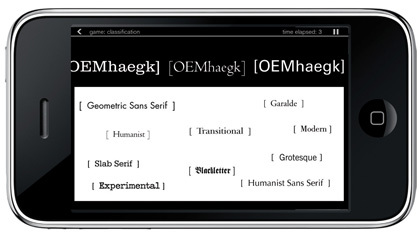 Typography manuals, based on the history or design of type, provide only a linear method of learning. 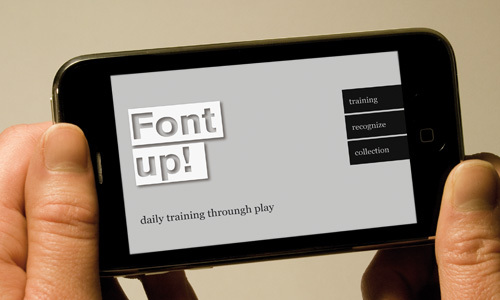 Inspired by the Brain Training video games developed by Nintendo, FontUp is a new way to learn, an alternative method to be used in parallel with books. It uses play as a tool for memorizing complex forms using an intuitive visual approach based on comparison. FontUp has two parts. 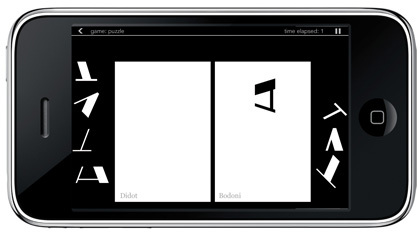 The first consists of games designed to reinforce the memory of a font’s characteristics. They are based on visual association, remembering different fonts and rebuilding them from scratch. You can master typographic nuances through a daily training based on minigames, typographic challenges with friends and diagrams to show your improvement. 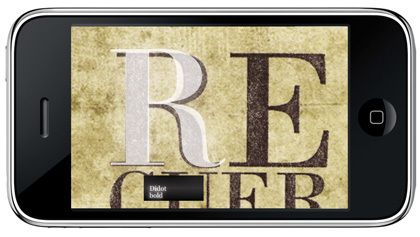 The real world is full of inspiration for designers. 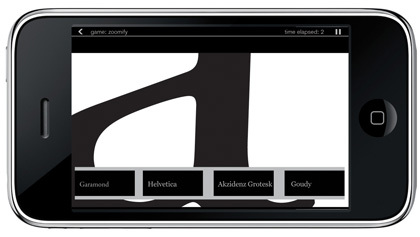 The second part of the application uses the iPhone’s camera to shoot pictures of letterforms you find in order to develop your own personal font collection. 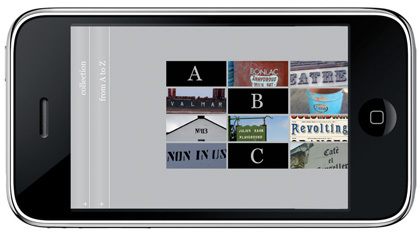 FontUp allows you to work out which font you have photographed using a combination of automatic and human recognition. The report accompanying this thesis project describes the historical development of typeforms and discusses the use of video games for training. The three iterations of the project are described as well as the user tests using paper, animated and interactive prototypes.